Enjoy maintenance free living at Scarsdale's most prestigious and coveted condominium for active adults age 55 plus. 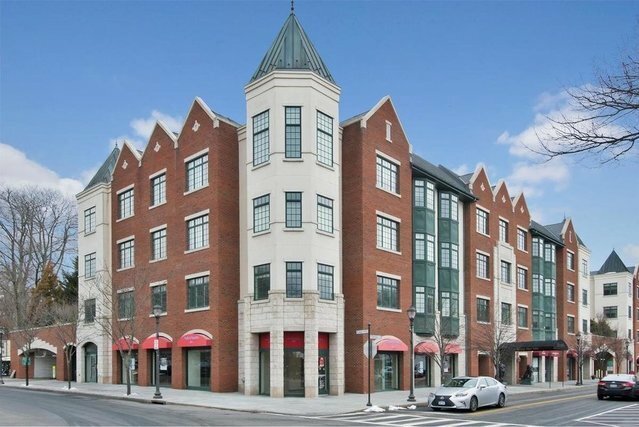 Conveniently located across the street from the Scarsdale train station in the heart of the village just 35 minutes from downtown NYC and close to restaurants banks and shopping. This spacious and pristine top floor home has a sunny and bright Southern exposure and features 9 'ceilings hardwood floors crown molding throughout and an open floor plan Gourmet kitchen with Viking appliances. The gracious master bedroom has an expansive bay window 2 walk in closets with custom closet systems and large marble master bath with spa tub walk in shower and heated floor. The second bedroom has an en suite bath and a laundry closet with full size washer/dryer. Amenities include private underground parking 24 hour concierge with video monitoring a beautifully landscaped rooftop terrace and a well appointed fitness room. Christie Place offers luxury living at its best!